Waterborne self-sealer transparent for parquet flooring. 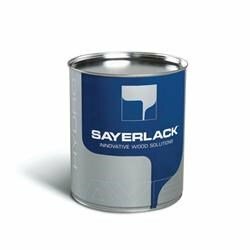 AF 60**/00 is clear non-yellowing waterborne self-priming topcoat for use on parquet flooring, an application that requires characteristic of elasticity, hardness, abrasion resistance, ease of application by roller and brush, and ease of touching-up and maintenance. Method of use: brush and roller. Gloss level: 20, 30, 50%. Hardener: АH1547.